If you have a Shop Rite nearby the Schick Hydro razors are on sale for $2.99, so only $0.99 after coupon. Also the razors are on sale this week at Walgreens & CVS this week! Walgreens has Arrid deodorant on sale for $0.99 this week with the in-ad coupon. 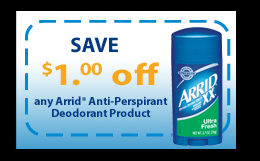 Use this $1/1 Arrid coupon to get it for FREE. Target: Palmer’s Cocoa Butter $0.34! Here’s a great deal that you can grab at Target with this awesome $2/1 Palmer’s printable! We don’t see deals on these products very often so make sure you grab this deal! I use these all the time during the winter for chapped lips, cheekes, sore noses, etc. They smell good enough to eat! This product should be on price cut until 10/22 so you have a little bit of time to grab this deal (but don’t wait to print the coupon). Walgreens: Ricola Cough Drops $0.19! As low as $0.19 each after coupons! Remember that you can use more than one Walgreens coupon per item according to the Walgreens coupon policy. Rite Aid: Aveeno Hair Care for $2! All Aveeno skin, bath and baby care products are on sale for B1G1 50% off this week at Rite-Aid, and we have a new $2/1 Aveeno Hair Care printable! Also At Ride Aid, when you spend $30 on select Aveeno products you get $10 +UP. 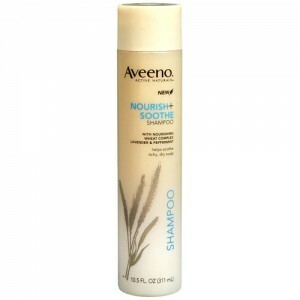 This lets you get your favorite Aveeno products for under $2!